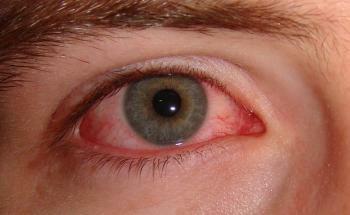 Pink eye is a type of infection that’s more officially known as conjunctivitis. It’s usually pretty easy to spot since it can literally turn your eye pink. But remember–most cases of pink eye appear pink in the eyes, but not all pink eyes have pink eye! Confused? That’s okay. You never have to diagnose and treat this or any other type of infection yourself. Don’t Touch That Pink Eye! The first rule of thumb when treating pink eye is to not touch the eye! If the infection is bacterial or viral, it will spread easily from one person to another. If the cause of the pink is an allergen or other eye irritant, it can become contagious if you spread it by causing another infection to develop. So no matter what the cause, don’t touch that pink eye! Not touching may not be enough to cure the infection. You may need antibiotics, antiviral medication, or another type of eye drop. A medical professional can determine if you need medication and what kind will work best for your infection. In the meantime, a cool or warm compress or over-the-counter eye drops may provide temporary relief for some of the symptoms. At FastMed, we know a condition like pink eye may be causing you a lot of discomfort. That’s why it’s our goal to get you in and out as fast as possible. Plus, with FastMed, you never have to wait days or weeks for an appointment. Just come into any of our clinics any day of the year and receive treatment that day–often within an hour. You can trust the medical professionals at a local FastMed Urgent Care clinic. Use our simple locator tool to find the clinic nearest you. To learn more about FastMed, follow us on Twitter.